How did all of the moments of your life, get you to your current life situation? For most people, there comes a time when we are forced to take inventory of our life. This usually occurs when we have become so uncomfortable in our own skin that it is necessary for a change; yet at the same time, we fear that change even though deep down we know it will save our life! On top of that, we feel that our life has become so confusing that we have no idea how to fix it or where to even begin! I found myself in a place that was extremely confusing and I had a strange sense that I was no longer myself. Though the reflection I saw in the mirror was familiar, I barely recognized myself. I could see through the surface layer reflection and I saw a version of myself that was quite disturbing. But as you know, finding answers to questions such as these isn’t so easy. And for me, this inner sense of unrest eventually manifested into full-blown anxiety—a major red flag exhibiting the words “Change your life NOW”! The only real solution for me was to take a good hard look at my life and commit to making a change. But where do I start? Well, there are countless self-help books that attempt to help you answer these types of pivotal questions. And though many indeed did help, the problem I encountered was that although I felt better for a time, inevitably I would soon slip back into my old patterns. 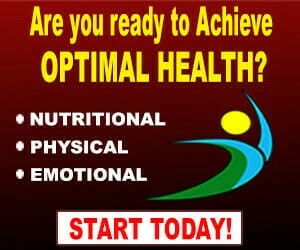 I needed off this cycle if I was going to regain and maintain my health. Then one afternoon as I was sitting with my head tilted in my hand, staring out the window and feeling an overwhelming sense of paralysis when out of the blue it hit me—there are many versions of “me” that are presented to many different people. And all of these varying versions of myself were so undeniably different that they were, in fact, destroying me! Destroying me because each of these different versions came out at different times depending on whom I was interacting with. Of course, it is totally natural that we act differently with our children or family members than we do with our peers or coworkers, but it is vital that our core belief system remains congruent regardless of who we are interacting with. We all spend many years skillfully developing different personas to match what we believe other people expect from us. At first, you accept these personas simply as a part of life, after all, we all need to be different things to different people, right? A wife, husband, partner, parent, friend, student, teacher, etc. Let’s call these “personas hats”, for the sake of clarity. 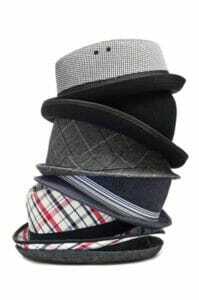 We all have a mental closet full of these hats, don’t we? And as with all things, a persona hat can become old and no longer serve in a way that allows you to flourish. If you owned such a hat, in reality, you would quickly throw that hat away and purchase a new hat that serves you well! And you can think of this new hat as one that symbolizes growth and change that comes out of personal realizations throughout life. 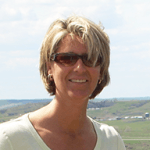 As I thought about all my different personas, I was startled by the realization that many of my adopted personas were not in line with who I truly am and thus were causing major inner conflict. 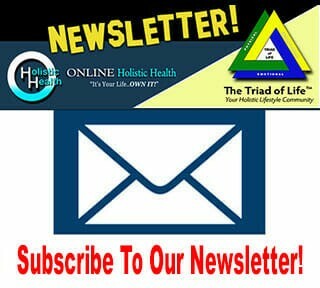 I was not authentic within in each persona, and it was having a negative effect on my health. Often times we create a persona so we are liked by others…or loved. Though this seems to be a logical thing to do, in reality, it only creates a false image of you. In order to have a true inner sense of well-being, it is necessary to be authentic to yourself AND with all the different personas you present to the world. So to find out how many different personas you have that may not be congruent with your authentic self, I invite you to take part in a Thought Exploration. 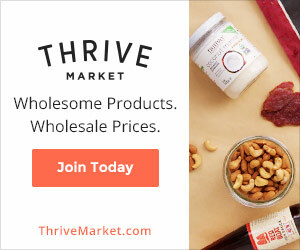 When I was curing myself of Multiple Sclerosis and many years of Anxiety, I discovered that there was more to regaining my health than just making the proper nutritional and physical adjustments. On my journey I realized that making emotional changes (a change in thinking) was just as important as nutrition and physical activity. In fact, it was key. Like many, I sought out self-help and inspirational books to help guide me to a different way of thinking – a more positive way of thinking. And though I found help in such books, I still found myself slipping back into old thinking patterns—patterns full of self-doubt, self-criticism, and a lack of self-acceptance. These types of feelings toward oneself are fundamental sources of emotional stress, which then lead to the development of glass walls that we build in order to protect ourselves from further emotional pain. (The walls being metaphorically made of glass represent our inability to break through since in essence they are invisible to us). Although we can look through the clear walls of our creation and see a happier and more satisfying life for ourselves, the walls prevent us from getting to that desired place. Unwilling to allow my progress in regaining my health to diminish, I set out to develop a new approach to examining my life. The following is an experimental journey to help you to examine who you truly are, why you think the way you do, and how you can break negative thought patterns. In other words, they help you to recognize those invisible walls so that you can finally remove them and free yourself! Take out a piece of paper and draw a circle in the middle of the page and designate that circle as you. Then make at least 6 circles (there are likely MUCH more) surrounding your circle much like the one in the image. Label each of those circles with the different persona hats that you wear in different circumstances. 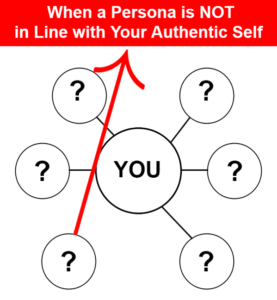 Then draw a line from the persona circles to the center of the circle that represents you, but only if the persona and your authentic-self match. 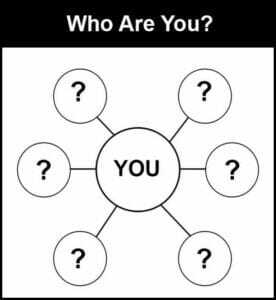 If you find that a specific persona is not truly representative of who you are then that line should by-pass your center circle (see image). This often happens when a persona is adopted based on what we believe other people expect from us. Give yourself some time for this exercise. 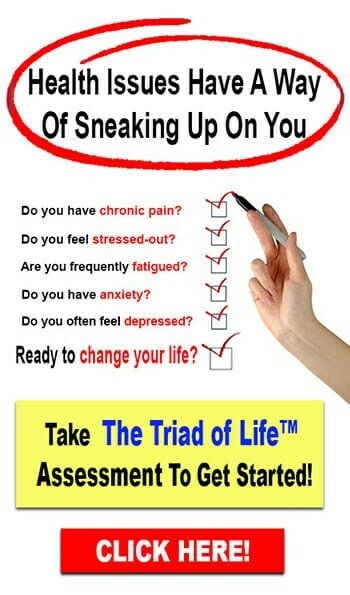 It is likely that you will discover personas that you didn’t even realize existed within you! And it is those personas that are most destructive, so it’s important that you try to be as honest with yourself as possible. When was that persona created? Does this persona truly serve you in life? How? Does having this persona cause stress in your life? How? If you could get rid of this persona, how would that feel? Assuming that you would like to begin the process of removing those persona hats that you do not feel serve you well, what steps could you take to accomplish this? Sometimes removing a persona hat is a simple thing to do, and it can feel quite liberating to let it go! Other times a persona has become so intertwined in everyday life that it can be difficult to let go of because it may involve people we love and don’t want to disappoint. But think of it this way…is not living and presenting a false version of yourself to your loved one ultimately more harmful to both of you? Instead, try to have a conversation with your loved one and allow them the choice of appreciating the real you. It may be difficult at first, but in most cases, if the love is true, then they will embrace the authentic and honest person that you are! And if not, though sad, it may be time to allow that chapter in your life to end so that you may begin a new chapter with your authentic self as the main character!